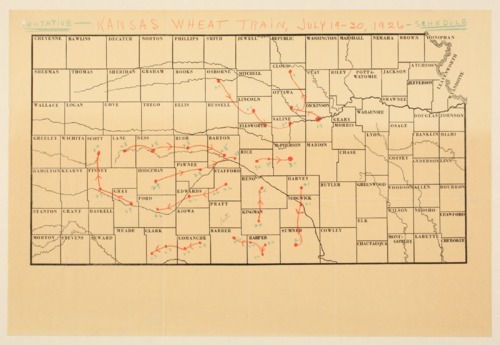 This map shows the tentative schedule of stops for the 1926 Kansas Wheat Train. It was scheduled to run from July 19 through July 30. It shows a number of stops in twenty-nine counties. A printed schedule is available in Kansas Memory item # 226725.